Awesome view from the top of the Sydney Tower. Not much variety of food however the food are fresh and nice. Yet the unlimited beverage package is quite disappointing because it only includes soft drink like soda, coke, sparkling water. Not even include juices! And 90 mins is quite rush actually, if possible, i am willing to pay extra for extra dining time. Enjoy a meal with the best view of the city atop Sydney Tower, the tallest structure in the southern hemisphere! The international buffet at the revolving restaurant has something for everyone, including Italian, Japanese, Chinese, Thai, and local Australian cuisine. The meal includes 90 minutes of all-you-can-eat buffet and free flow soft drinks. Bring the whole family so they can enjoy the panoramic views while the restaurant slowly rotates for a 360 degree view of the city! 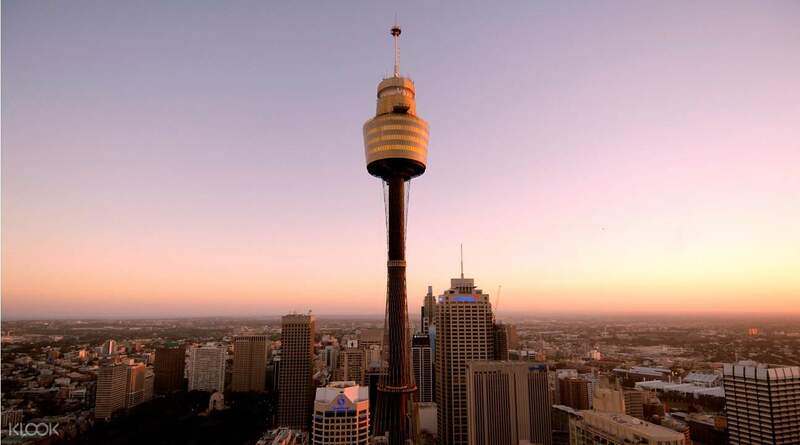 Dine high above the city at the revolving restaurant atop Sydney Tower! 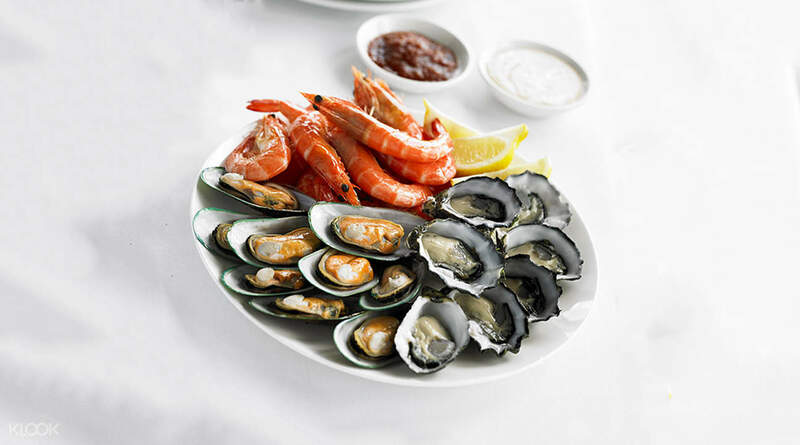 Enjoy fresh Australian seafood at the international buffet! 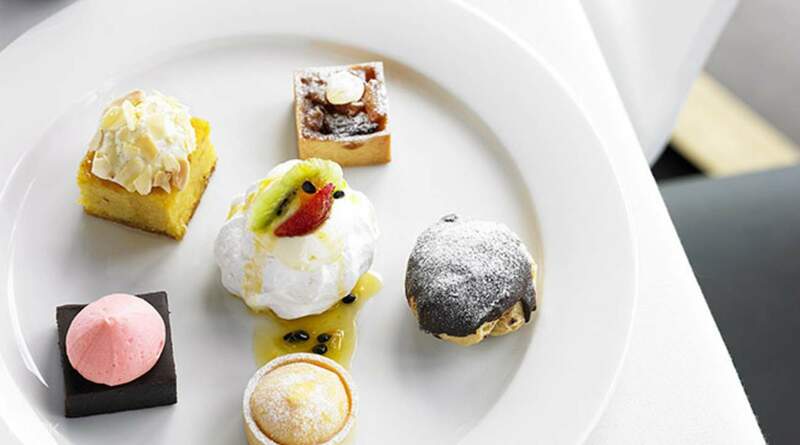 All you can eat for 90 min at Sydney Tower International Buffet includes a wide variety of desserts! Enjoy a wide variety of cuisines for the whole family! Relaxing meal high above the ground. We love the churros, they're perfect with the butterscotch and ice cream. Relaxing meal high above the ground. We love the churros, they're perfect with the butterscotch and ice cream. The view is great, but the food is decent. 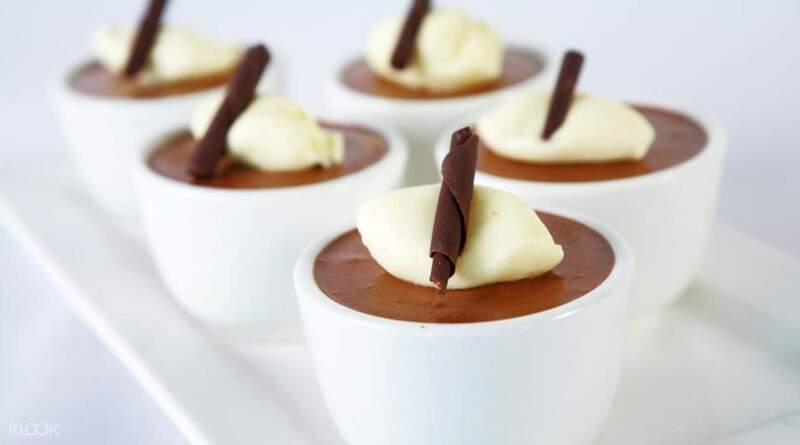 Seafoods are fresh, meats taste good and desserts look good as well. The experience is worth it! It’s a must to dine-in once but not twice. The view is great, but the food is decent. Seafoods are fresh, meats taste good and desserts look good as well. The experience is worth it! It’s a must to dine-in once but not twice. Food with standard taste,not too many varians. Thanks we've placed next to the window so we can enjoy 360° of sydney city view. All the staff were helpfull. Food with standard taste,not too many varians. Thanks we've placed next to the window so we can enjoy 360° of sydney city view. All the staff were helpfull. Checking in was easy and straight up to our table which was a window seat. When offered water, we were offered sparkling or still (which we thought was tap) and ordered still and got charged $10. We realised later that tap water in a jug is there for the taking. Quite a selection of food and we were very happy with it all. Went just before dusk and saw both day and night which was a treat at this height. Great experience. Checking in was easy and straight up to our table which was a window seat. When offered water, we were offered sparkling or still (which we thought was tap) and ordered still and got charged $10. We realised later that tap water in a jug is there for the taking. Quite a selection of food and we were very happy with it all. Went just before dusk and saw both day and night which was a treat at this height. Great experience. Here, you will see the whole city of Sydney should go from 7pm to watch the sunset, the food is not very good. Here, you will see the whole city of Sydney should go from 7pm to watch the sunset, the food is not very good. Awesome view from the top of the Sydney Tower. Not much variety of food however the food are fresh and nice. Yet the unlimited beverage package is quite disappointing because it only includes soft drink like soda, coke, sparkling water. Not even include juices! And 90 mins is quite rush actually, if possible, i am willing to pay extra for extra dining time. Awesome view from the top of the Sydney Tower. Not much variety of food however the food are fresh and nice. Yet the unlimited beverage package is quite disappointing because it only includes soft drink like soda, coke, sparkling water. Not even include juices! And 90 mins is quite rush actually, if possible, i am willing to pay extra for extra dining time. Great value eat all you can buffet with sensational views of Sydney. Great value eat all you can buffet with sensational views of Sydney. I had lunch yesterday with my friend. First of all we kinda worried to see lots of people queeing to enter the restaurant, but when we got our turn, it turns out to be the most memorable lunch that we ever had. Superb! Take a seat close the window so the view would be nicer. I had lunch yesterday with my friend. First of all we kinda worried to see lots of people queeing to enter the restaurant, but when we got our turn, it turns out to be the most memorable lunch that we ever had. Superb! Take a seat close the window so the view would be nicer.